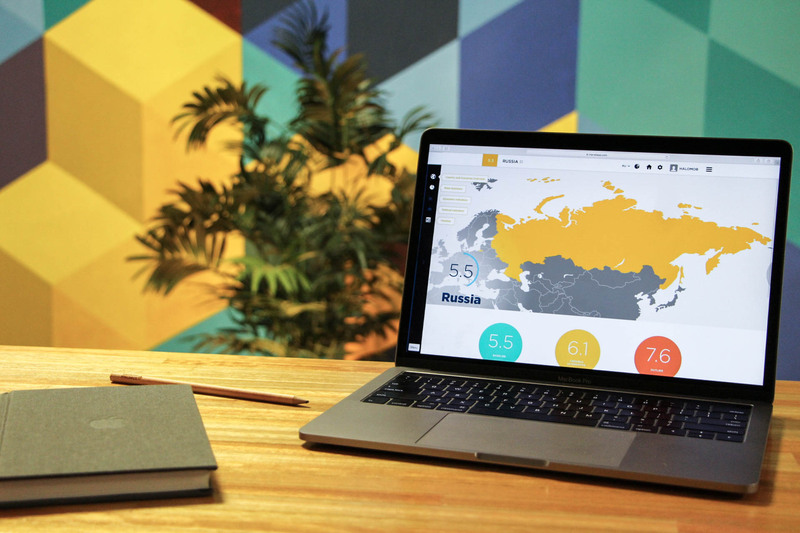 We helped EPRE become the platform that enables organizations to analyze the economic and political risks of more than 160 countries in order to identify business opportunities. Back in 2015, Oxford Economics and Control Risks joined forces to fill an untapped need in the market based on the complex interconnection between economics and finance with politics and society in our ever increasingly globalized and interconnected world. They decided to combine their expertise to create the first fully functional web app that provides a holistic evaluation of risk based on economic and financial, political, business and market, as well as security and social cohesion factors all in the same place. This tool would allow Oxford Economics' and Control Risks' customer to better evaluate risks and more easily identify potential opportunities around the world. The main challenge in this project involved combining the complex analytical data from two different sources and turning it into a polished and user friendly tool. We started out by working alongside the Control Risks and Oxford Economics teams in order to determine the most crucial features and elements for the Risk Evaluator tool. We then worked through iterative sprints to deliver functionality incrementally. Control Risks and Oxford Economics specialize in different kinds of data, so they each create separate reports based on their expertise: one political analysis and one economic. The data from these two documents then needs to be synthesized and displayed in a way that makes sense to the user. We designed a simple yet scalable architecture relying on Puppet and AWS, containing multiple node types: web agents, web workers, load balancers, data importers and data stores. This program involves a large amount of complex data, so we worked on designing informational components and reports that displayed this wealth of information in an elegant and easily understandable way. In the front end, we built several UI components that effectively summarize the most important information using radial charts, line charts, heat maps, geographical maps, and comparison tables. Since Risk Evaluator users come from diverse industries and have different interests, they would need to be able to customize the weighted impact of the 11 risk variables in order to make risk calculations based on their unique organizational needs. We incorporated the ability for users to create their own profiles that would automatically analyze information and data with each users' preset combination of weighted indicators. Oxford Economics and Control Risks also wanted users to be able to export the information from the EPRE so that they could use it in their own reports and analysis. We made sure that all of the source data from visualization and comparison components can be exported to CSV, allowing users to seamlessly integrate the information into their own analytical tools. Control Risks and Oxford Economics would also need a simple way to regularly upload fresh and crucial information in order to engage their user set and make the tool indispensable for their subscribers. By making sure that the system automatically imports data as soon as new reports are uploaded to either Control Risks or Oxford Economics' main interfaces, the application is constantly updated and always relevant. We are very proud to have been a part of this joint venture and helping to materialize this idea into one of the most complete risk analysis tools available. Today, the Economic and Political Risk Evaluator boasts an extensive subscription set and serves as an invaluable tool for anticipating and responding to emerging risks.